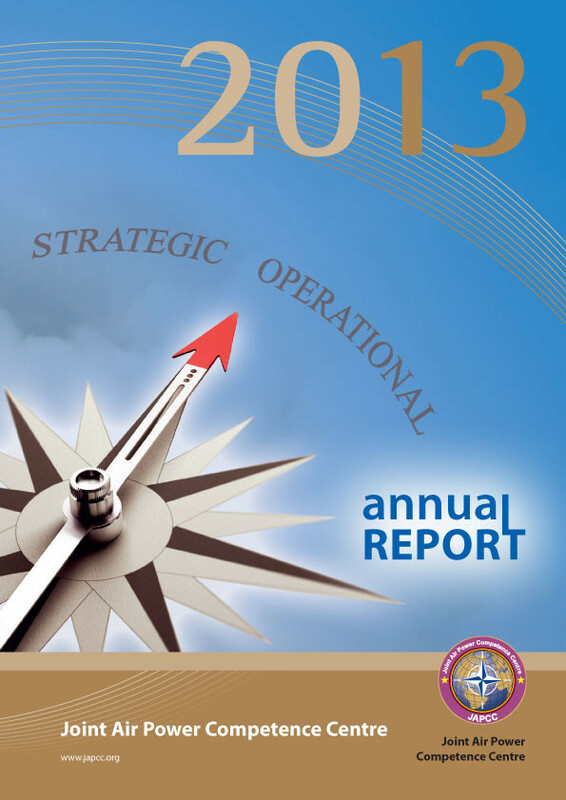 For the Joint Air Power Competence Centre (JAPCC), 2013 can be characterized as a year of convergence. Many factors came together to shape the organization’s strategic direction. Fiscal constraints, reduced manning, evolving focus of effort, operational misalignment, fleeting relevance, and a challenging strategic environment are just a few of the significant forces which united and demanded JAPCC to rethink, refocus and regroup. One of the catalytic events which started the process took place under the leadership of our former Director, General Welsh, who in early 2012 stated that the organization’s relevance and thus utility to NATO was in serious question. The JAPCC had allowed itself to become a disconnected (from NATO and the Sponsoring Nations (SNs)) and self-focused organization who was failing to meet the needs of NATO. This especially showed in the imbalance towards long term and strategically focused projects without sponsors external to the JAPCC. The Director stated that a shift needed to occur with more focus and effort directed towards support to Allied Command Operations elements with shorter time horizons and more operationally and upper tactically focused projects and activities. 1. Lack of leadership oversight allowed projects to lose momentum resulting in late-to-need deliverables. 2. The JAPCC lost significant capability and capacity due to Subject Matter Expert (SME) losses in the past three years. 3. Lack of mechanisms to ensure correct commitment of resources, both manpower and money. 4. Lack of a formal process to validate, add/delete, or prioritize JAPCC projects and/or activities. 5. Organizational structure was restricting the required flexibility, internal planning and control requirements, external engagement capability and overall adequate mission execution. Subsequently, the JAPCC reorganized and shifted the PoW towards a more operational/upper tactical focus and away from primarily strategic initiatives. The organisational change consolidated four capabilities based branches into three, established the functional Assessment, Coordination and Engagement (ACE) Branch, established the Planning and Control Section, and established the Chief of Staff position while deleting one General Officer position, thus creating ‘less chiefs and more indians’. These substantial, fundamental organizational changes support the leadership’s intent to move toward a more proactive, results-based, relevant, and thus value-added to NATO, PoW. To accomplish this, JAPCC has developed a planning and control process which is guided by monthly PoW and quarterly Personnel and Budget meetings; at which, priorities are determined, resources are allocated to the respective projects and activities, and engagement opportunities are identified. The JAPCC is NATO’s team of multinational experts contributing to the improvement and transformation of Joint Air and Space Power (A&SP). This can only be facilitated when the ‘thinking’ is underpinned by thorough research and analysis, rigorous planning, and through frequent engagement with the targeted key decision-makers and stakeholders. Sponsoring Nations’ resources have recently been, and will continue to be, constrained. This resource challenge requires innov ative solutions where operational effectiveness is delivered ever-more efficiently whilst remaining aware of the risks. The JAPCC is committed to redefining its organizational objectives in order to deliver relevant and valuable A&SP solutions to the key decision-makers across the Alliance and the Nations.